I Bought a Lame Horse: Do I Have a Legal Case Against the Seller? As an attorney for Equine Legal Solutions, Rachel Kosmal McCart frequently helps unhappy horse buyers decide whether they have a viable legal case against the seller, and if they do, whether she is the right attorney to represent them. Here is what she looks for during the initial consultation. Did the Buyer have a Pre-Purchase Exam? If the buyer had a veterinary pre-purchase examination, I always ask to see the written report. What the buyer remembers the vet said may be very different than what the written report says. If the pre-purchase report says the horse was lame in the same limb now causing the problem, this is a red flag. The buyer, on notice that the horse was lame, would have had a duty to investigate why the horse was lame before buying, not after. Typically, a pre-purchase veterinarian will recommend radiographs or other diagnostics to determine the cause of lameness and/or recommend the horse be re-examined at a later date. If the buyer elects to buy the horse without investing in the diagnostics, the buyer probably won’t have a viable legal case. This is true even if the seller offers speculation about the cause of the lameness, such as, “I think he might be brewing an abscess,” (that is,unless the seller knows exactly why the horse is lame and deliberately lies tothe buyer about it). Opinions on lameness from the buyer or the buyer’s trainer aren’t sufficient. To have a viable legal case, the buyer needs an expert opinion that the horse is in fact lame today, and how lame the horse is on a scale of 1 to 5. That expert opinion needs to come from a veterinarian who has examined the horse in person. Why is the Horse Lame? To have a viable legal case, the buyer also needs to be able to prove what’s causing the lameness. Therefore, the buyer needs a thorough veterinary diagnosis. If the buyer has had a veterinarian examine the horse and the report’s conclusion says something like “suspect navicular, recommend radiographs,” that isn’t conclusive – the horse might or might not have navicular. The buyer will have to invest in whatever diagnostics are necessary to prove what’s causing the lameness. Is the Lameness a Pre-Existing Condition? To have a viable legal case, the buyer needs to be able to prove the horse was lame at the time of purchase. With certain chronic, long-term conditions such as navicular and degenerative joint disease, a board-certified veterinary radiologist can examine radiographs of the affected area(s) and provide an expert opinion about how long the horse has had the condition. In other cases, the buyer will have to prove the lameness was pre-existing by producing vet records showing the horse was lame prior to the purchase. The vet records will have to show the horse was lame in the same limb, and ideally, that the cause of the lameness was the exact same condition causing the horse’s lameness today. With a few exceptions, notably Washington, state law provides that vet records belong to the person who ordered the treatment, and a horse owner can’t get previous vet records for their horse unless the owner of those records releases them or the horse owner subpoenas those records as part of a lawsuit. Is the seller someone who sells horses as part of their business, such as a trainer or breeder, or they an individual horse owner who sells a horse only occasionally? If the seller is a professional, the sale may be subject to the Uniform Commercial Code, which provides that a warranty of “merchantability” is implied in every sale by a “merchant.” In laymen’s terms, this means when a breeder or trainer sells a riding horse, there is an implied term that the horse is sound enough to be used as a riding horse. No warranties are implied in sales by individuals. The implied warranty of merchantability can be overcome by a specific statement in the sale contract disclaiming this warranty. Note, however, that contract statements such as “As is, no warranties,” or “seller disclaims all warranties” are insufficient to successfully disclaim the warranty of merchantability – the word “merchantability” must be specifically mentioned in the contract disclaimer. Did the Seller Know the Horse was Lame? If the seller isn’t a “merchant,” to have a viable legal case, the buyer will need to be able to prove that not only was the horse lame prior to the purchase, the seller knew the horse was lame. Vet records from the time that the seller owned the horse can be useful to prove knowledge. Occasionally, another prospective buyer had a pre-purchase veterinary examination of the horse identifying the lameness and will testify that they shared the results of the examination with the seller. Once in a while, the person who sold the horse to the seller was aware of the horse’s lameness and will testify that they informed the seller about it. In rare instances, there are other resources available to show the horse was lame during the seller’s ownership, such as video footage from a show where the horse was disqualified for lameness, or a farrier willing to testify that they discussed the horse’s lameness with the seller. Did the Seller Disclose the Lameness? If the seller disclosed the lameness to the buyer, the buyer probably won’t have a viable legal case against the seller. For example, if the seller told the buyer the horse had “a bit of arthritis in his hocks,” the buyer had a legal duty to investigate further by having a veterinarian examine the horse prior to purchase. Also, if the seller released the horse’s vet records to the buyer, and the lameness is reflected in the vet records, the buyer is deemed to have knowledge of the lameness. Note this is true even if the buyer never bothered to get copies of the records from the seller’s vet, or if the buyer didn’t read the records until after the sale. First and foremost, does the contract say anything about lameness? If it discloses the lameness, the buyer probably won’t have a viable legal case. As discussed above, the contract can successfully disclaim the warranty of merchantability and other warranties. However, an “as is” clause can’t overcome actual fraud – such as if the seller knew the horse was lame and represented it as being sound, drugged it so it would pass the vet check, etc. Does the contract have a return policy? If so, did the buyer follow the steps required to return the horse? Did the seller make any specific statements in the advertisement for the horse about the horse’s soundness or suitability for a particular purpose? If so, these statements could form the basis for a warranty claim against the seller. Note, however, that warranties of fitness for a particular purpose and other warranties can be successfully disclaimed by contract language. I Think I Have a Case, Now What? Small claims courts don’t have the power to require the seller to take the horse back. They can only award money damages, and only up to the small claims limit. What are your damages? Your damages are not only what you paid for the horse, but also what it has cost you to keep it and diagnose/treat the lameness. At the same time, you have a duty to mitigate your damages, so you will need to minimize the costs involved in caring for the horse. You will need to balance your damages against the likely cost of litigation and the likelihood of being able to collect from the defendants, as well as consider whether your case includes a legal claim for attorneys’ fees and costs. If the horse is so lame that he’s suffering, keep in mind that if you sue, the horse will be crucial evidence in your case and cannot be euthanized until the defendants’ experts have had a chance to examine him. And the defendants won’t be in a hurry to spend money to have their experts examine him – they’ll wait as long as they can, and you can count on it being months. If you resell the horse, your damages are reduced by the amount you received for the horse. Plus, the horse is crucial evidence in your case, so if you sell him or give him away, you will need to make sure you have access to him during the litigation. This article is for general information purposes only and is not a substitute for one-on-one legal advice about the merits of your particular case. If you live in California, Oregon, Washington or New York, or your case involves one of these states, please Contact Us for a consultation. 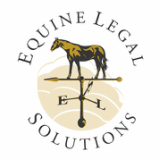 If you live in another state or province, please see our equine attorney directory for referrals to an attorney in your area.